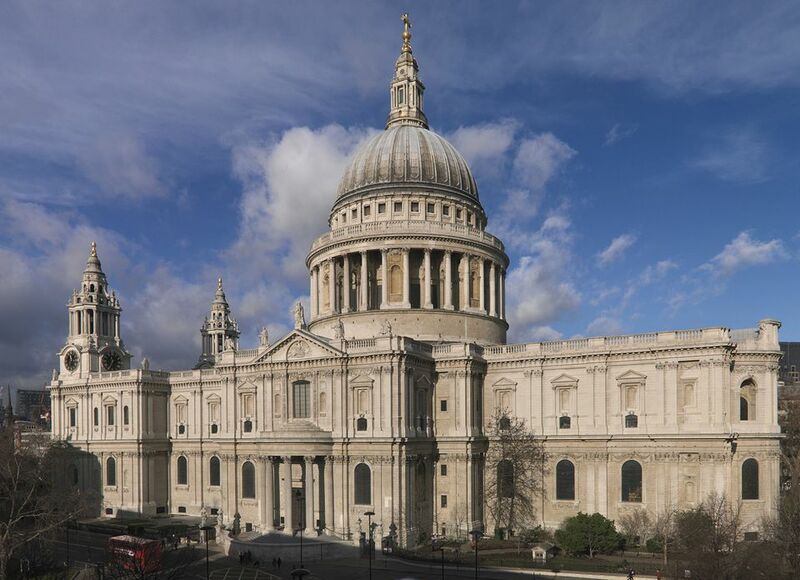 There's much to explore in St Paul's Cathedral, the stunning Baroque church designed by Sir Christopher Wren in 1673. Alongside the awe-inspiring interiors and the crypt that houses tombs of some of the nation's greatest heroes (including Admiral Lord Nelson and the Duke of Wellington), the dome is one of its most striking features. At 111.3 meters high, it's one of the world's largest cathedral domes and weighs a hefty 65,000 tons. The cathedral is built in the shape of a cross and the dome crowns the intersection of its arms. Inside the dome, you'll find three galleries and you'll be able to enjoy breathtaking views of the London skyline. The first is the Whispering Gallery which can be reached by 259 steps (30 meters high). Go to the Whispering Gallery with a friend and stand on opposite sides and face the wall. If you whisper facing the wall the sound of your voice will travel around the curved edge and reach your friend. It really does work! If you choose to continue up, the Stone Gallery offers some great views as it's an outside area around the dome and you can take photos from here. It is 378 steps to the Stone Gallery (53 meters from the cathedral floor). At the top is the Golden Gallery, reached by 528 steps from the cathedral floor. This is the smallest gallery and encircles the highest point of the outer dome. The views from here are spectacular and take in many London landmarks including the River Thames, Tate Modern, and the Globe Theatre. If you enjoy skyline views, you might like to also consider Up at The O2, The Monument, and The London Eye.